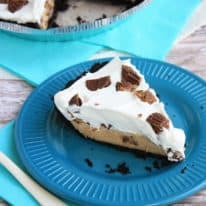 Cream cheese and peanut butter layered with whipped cream and chopped Reese’s Cup minis in a chocolate Oreo cookie crust – the perfect, no bake dessert! My boys BEG me to make anything with peanut butter in it for them. They still rave about the Skinny Peanut Butter Cheesecake I made a while ago and ask about it! 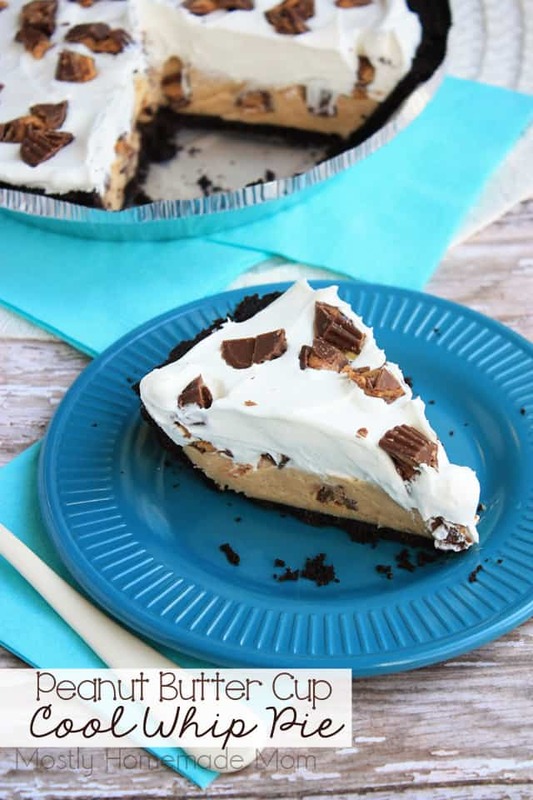 Although, Silas told me this pie is now his favorite. 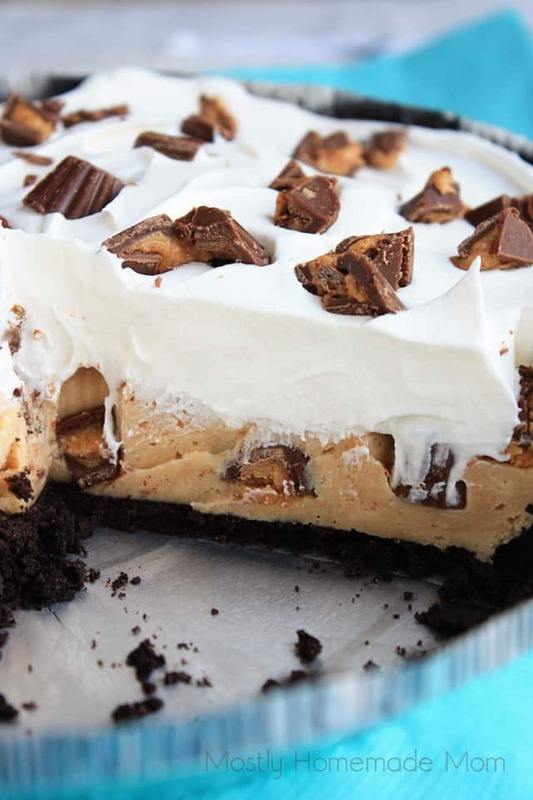 I have a feeling it will keep changing with every new peanut butter dessert he tries! 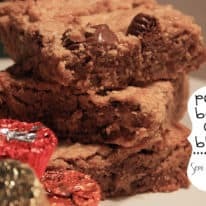 Sometimes I feel bad because I always plan on making treats for them, to then hopefully share with you all here in Mostly Homemade Mom. But I usually choose to try desserts that certainly aren’t hard, but do require a bit of attention. So a lot of times I tell them I’m going to make something, but don’t get around to actually doing it until several days later. I’m a mean mom, I know! I have to say though, this pie isn’t much more work than Jello! No bake time needed, just time in the fridge to chill. 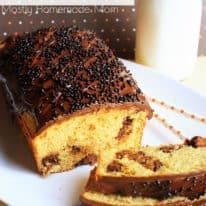 Your family is going to love this dessert! In a medium sized bowl, beat together cream cheese, sugar, and peanut butter until smooth. 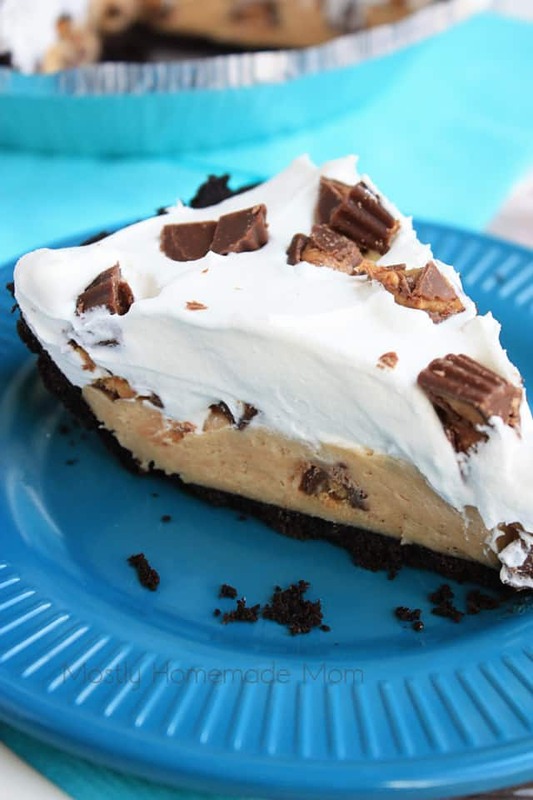 Stir in 1/3 cup thawed Cool Whip and 1/3 cup chopped peanut butter cups. Spread into the bottom of crust. Sprinkle another 1/3 cup chopped peanut butter cups evenly over top. Spread remaining Cool Whip over peanut butter cups. 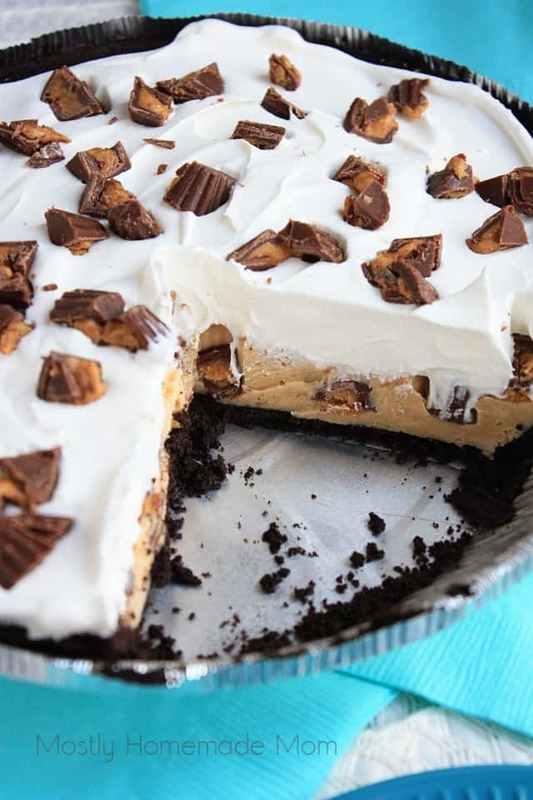 Sprinkle remaining peanut butter cups evenly over top of pie. Cover and refrigerate at least 30 minutes before slicing and serving.